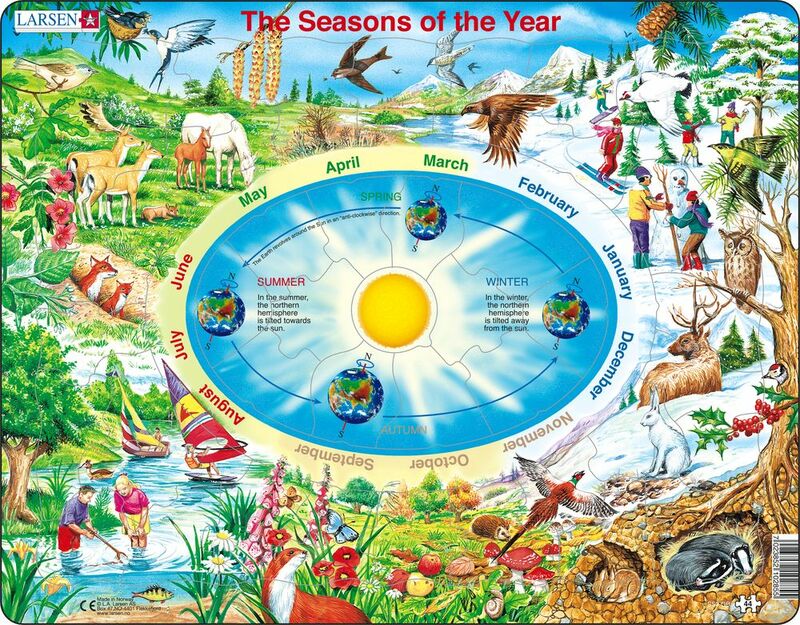 Learn about the 4 different seasons of the year. The picture in the middle shows the Earth using one year to circle around the sun; and explains why the winter is cold and the summer is warm. Around this illustration is a fixed frame with the names of the twelve months. The big picture outside shows how nature is changing as the earth moves around the sun.